The anticipation, are you going? Where are you going to watch from? As the time grew shorter, the inquiries became more frequent, planning more intense. It filled conversations, Facebook posts, the newspaper. 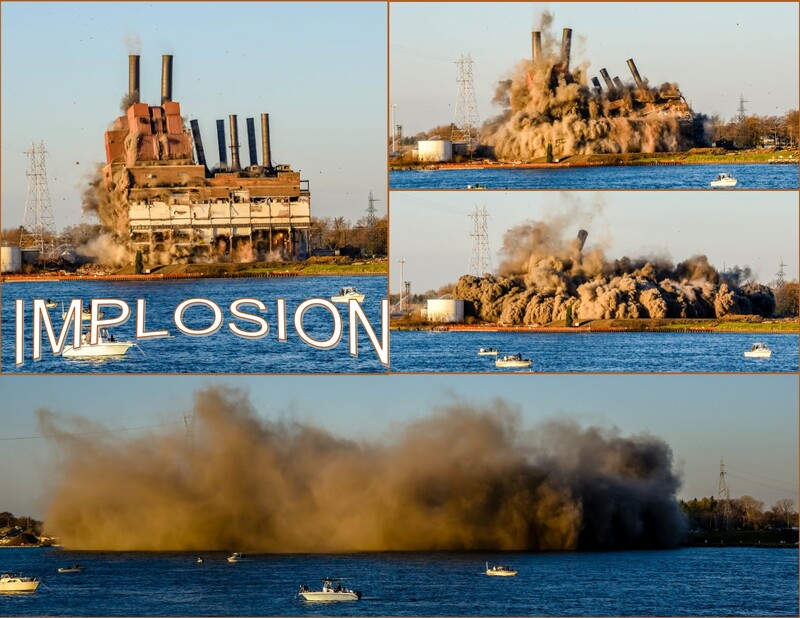 The much anticipated implosion of the DTE Power Plant in Marysville, Michigan. 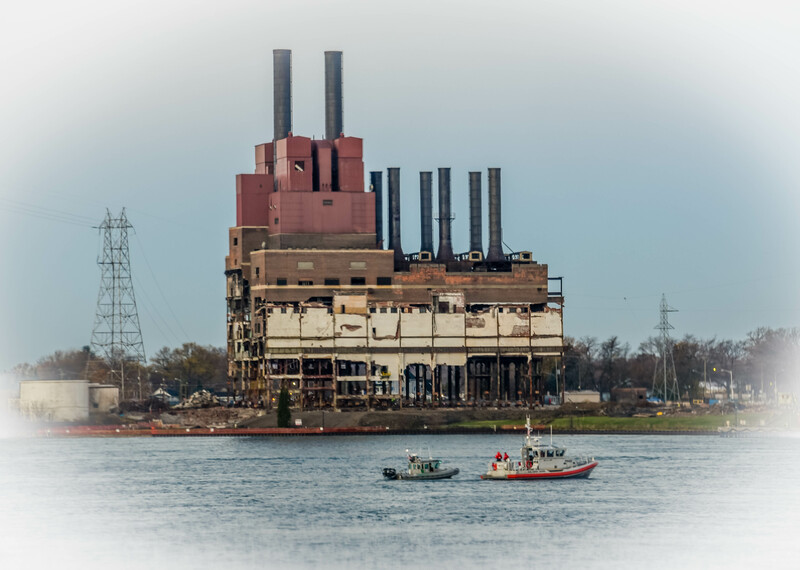 The plant was built along the St. Clair River, an international waterway and shipping channel. My husband and I decided the best vantage point would be from the Canadian side of the river. We were not alone in our thinking. Both Canadians and Americans lined the roadway to watch the event. It was scheduled for 8:00 am on November 7, 2015, and it is one of the few activities I have ever attended where 8:00 am meant exactly that. 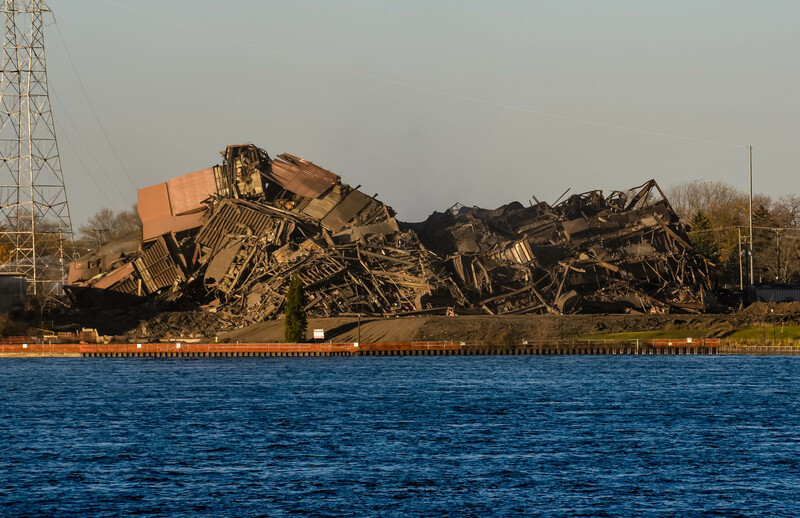 At 8:00 am you could see lights flash in several spots, the boom as explosives went off, and then watch the building go down in a matter of seconds. Definitely worth getting up early to see. 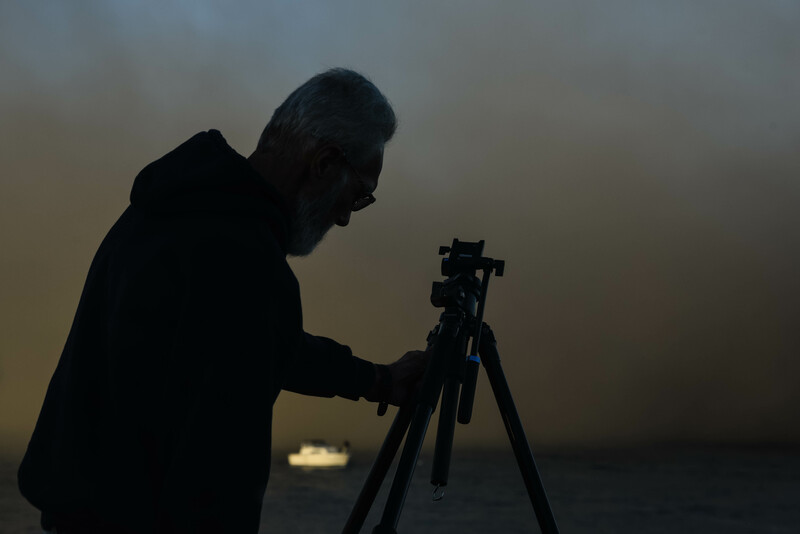 Immediately following the implosion a huge, billowing cloud of smoke and/or dirt rose up and started to roll out over the river, eventually hitting the bank and coming up onto the Canadian soil. Then, in a few minutes it was clear again and you could see the huge pile of rubble left where a building had once stood. Then the traffic jam started. You know how it is when you are trying to leave a large event, bumper to bumper traffic moving at a slow pace. The problem was, the authorities had not really anticipated the amount of vehicles that would be there and had no one directing traffic to clear it out quickly. We didn’t even attempt to enter traffic for at least a half hour or more. Was it worth it? Absolutely! Would I attend an implosion again if the opportunity arose? Definitely! Watching a building come down in only a matter of seconds is a sight to be experienced in person. It can not be explained.